Let me share some photos I took today. Nice? 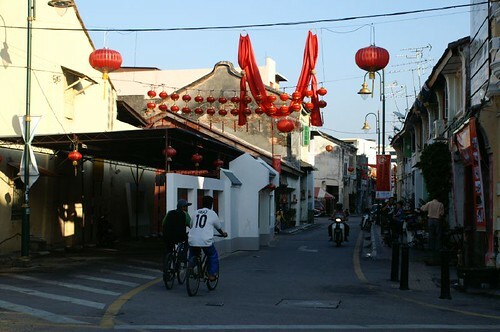 A mosque minaret in the background and Chinese lanterns hanging everywhere. A picture of our harmonious state. 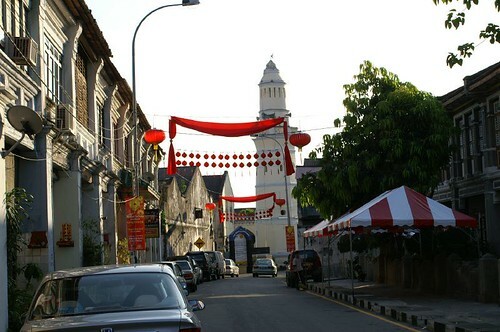 The area here is sprucing up for a Chinese New Year open-house event this Saturday. The Prime Minister of Malaysia will grace this celebration. 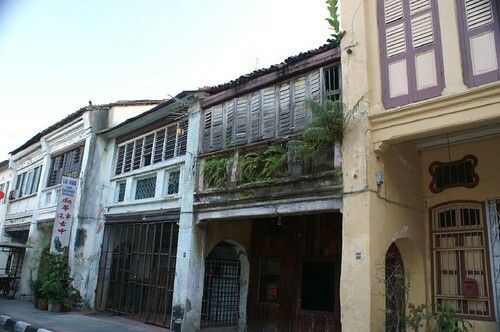 Some of the old, yet very interesting buildings. Close up of this very ‘green’ building. 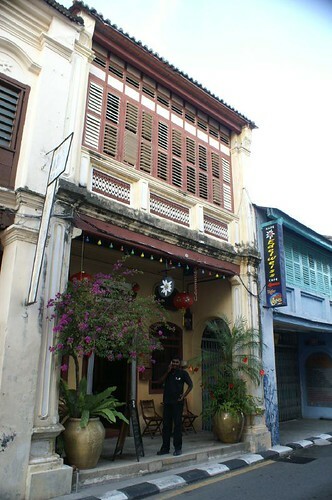 Some owners renovated the buildings and turn them into restaurants. The above quaint building is the Edelweiss German Restaurant. 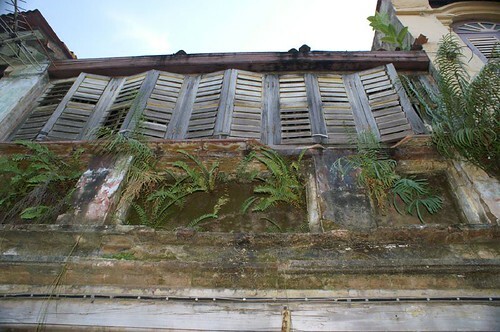 You can walk through all the narrow lanes and take in the sights this Saturday. Time : 4.30 pm to 11 .00 p.m.
harmony on the outside but lots of ill feelings inside! Happy lunar new year to u! !